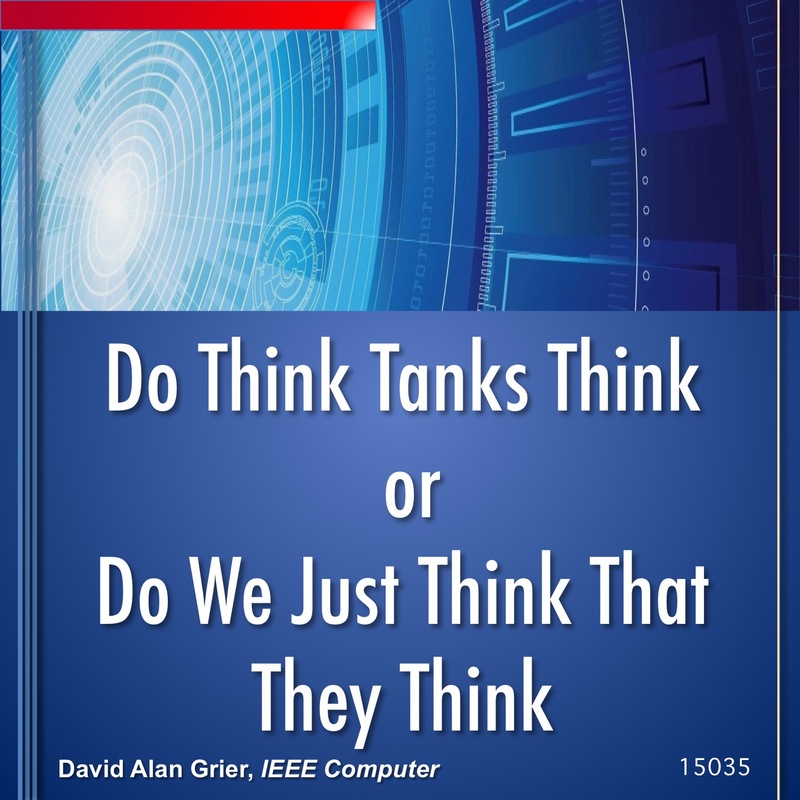 Do Think Tanks Really Think or Do We Just Think That They Think? Engineers and Computer Scientists don’t have a lot of contact with Policy Think Tanks. However, Think Tanks generally believe that they understand the technological community. So when the time comes to discuss the future of Advanced Manufacturing, do the Think Tanks offer any real thoughts or do they just fall back on the traditional recommendations that they have had for years? This entry was posted in 2015, podcast and tagged 15035, Advanced Manufacturing, brookings institution, ieee, ieee computer society, PCAST, Presidents Council on Science and Technology, science policy, technology policy, think tank. Bookmark the permalink.